When will be Spy Game next episode air date? Is Spy Game renewed or cancelled? Where to countdown Spy Game air dates? Is Spy Game worth watching? In the post-Cold War era, the old spying rivalries are gone and the U.S.'s special espionage division, ECHO, is threatened with shutdown. But when new troubles arise, rookie agent Maxine "Max" London (Allison Smith) is sent to reactivate retired agent Lorne Cash (Linden Ashby), a master of improvisational weaponry and hand-to-hand combat. 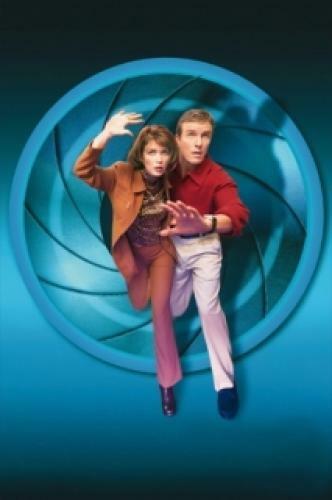 Under the supervision of their boss, Micah Simms (Bruce McCarty), they're going to take on the worst spies, counter-spies, and evil masterminds that the world has to offer. EpisoDate.com is your TV show guide to Countdown Spy Game Episode Air Dates and to stay in touch with Spy Game next episode Air Date and your others favorite TV Shows. Add the shows you like to a "Watchlist" and let the site take it from there.